Do you know the importance of next Wednesday, February 2? Well, it is the day that eyes all over the United States will be watching a little critter named Phil. Actually his full name is Punxsutawney Phil and he lives in Punxsutawney, Pennsylvania. Each February 2, the town of Punxsutawney has a celebration. In the early morning, Phil emerges and we all wait and watch to see what he sees. According to the legend, if Phil sees his shadow and returns to his hole, the US will have six more “lovely” weeks of winter (please note the extreme sarcasm). If Phil does not see his shadow, spring will arrive early. Anyone want to get the word out now and bribe Phil?! In our large book library we have a lot of books for various holidays. Last year I noticed that we did not have any for Groundhog Day and wished that we had. The other day we received a copy of a new book from Sterling Children’s Books called Brownie Groundhog and the February Fox. I read the book, but am saving it to read with the kids for the holiday since it will be special on that day. 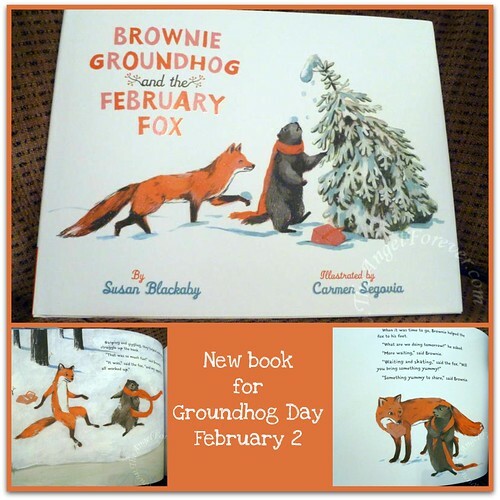 In Brownie Groundhog and the February Fox, author Susan Blackaby elevates the familiar story of Groundhog Day to that of a delightful tale about two mismatched characters and the start of their beautiful friendship. Brownie Groundhog wakes herself on February 2nd to see if spring might soon be arriving. But when Brownie steps outside, there’s not even the slightest sign of spring – just her shadow, a frosty field, and a very hungry fox. Like the familiar trickster tales of old, Brownie cleverly and consistently delays the fox’s anticipated lunch. Using all her wiles – and some delicious hot cocoa and cinnamon toast – Brownie finds a tasty way to sate Fox’s appetite and find a new friend in the process. Together, Brownie and Fox enjoy a friendship that helps to make the wait for winter’s end a little warmer. Susan Blackaby’s deliciously witty writing and Carmen Segovia’s adorable animals and stunning landscapes combine to create a picture book filled with warmth and joy. The tale of Brownie Groundhog and Fox is unique. It begins with both Brownie and Fox wanting something that they can not have. Together, they learn about patience, passing time while waiting for something that they want, and working together. The two are unlikely friends, we read along and see how Brownie works in a clever way not to be lunch and keep Fox busy. When Brownie outsmarts Fox and tries to leave, we realize that a friendship is forming. The two bond over a snack and learn to trust one another. In the end, they learn that is is best to wait for what they want together than alone. I really enjoyed this book and like the lessons that it teaches. Problem solving, tolerance, and friendship are all seen throughout the story. I am looking forward to sharing this book with my boys next week. I think I will even see if their teachers would like to have it to share with their classmates. So what have you read recently? 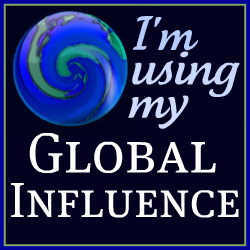 Please be sure to link up to your Tuesday Tales and/or leave a comment below. 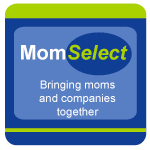 Include something you read on your own, with a child or someone else. Tuesday Tales are all about spreading the love for books. Disclosure: I received this book complimentary of Sterling Publishing in order to facilitate this review. No other compensation was given. The opinions expressed in the review are my own. One widget within the review is for my Amazon Affiliate where I will receive a percentage of money for the sale of the books should you opt to buy the book mentioned.